NYC Public School Parents: The widening Murdoch scandal and the Wireless no-bid contracts: sign our petition now! 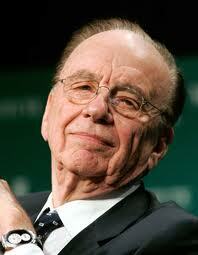 The widening Murdoch scandal and the Wireless no-bid contracts: sign our petition now! A widening scandal envelopes Rupert Murdoch’s News Corp, revealing how his employees in the UK hacked into the cell phones of murder victims, paid off policemen, and may have even stolen the medical records of the former Prime Minister’s newborn son. What is indisputable is that his papers used offensively bullying tactics against elected officials to dissuade them from criticizing his methods or investigating his activities. The latest allegation is that News Corp’s journalists may even have hacked into the phones of American victims of the 9/11 terrorist attacks, leading several US Senators to call for a Congressional investigation. NYC’s former Chancellor, Joel Klein, now works for Murdoch, and has been put in charge of his “internal investigation” of this scandal. At the same time questions have been raised surrounding several no-bid contracts that the NY State Education Department and the NYC Department of Education intend to award Wireless Generation, the company that Murdoch bought immediately after Klein announced he would run Murdoch’s new online learning division. The state no-bid contract is $27 million for Wireless to build a statewide version of ARIS, the expensive data system that has received widespread criticism from NYC parents, teachers, and principals alike, who say that there are far less expensive and more useful data systems available. There are also troubling conflict of interest questions, given that these contracts were announced shortly before and after Joel Klein’s departure from the DOE. See also the summary of this controversy from Think Progress. A timeline of these events, with more explanation and links to back-up information, is available below. November 22, 2010: It is announced that Rupert Murdoch will purchase 90% of Wireless Generation for $360 million; a company with 400 employees; presumably Joel Klein will oversee this company in the new online division. Some observers say that he overpaid, as the price is “at a plus “6.5x revenue multiple. That's crazy.” In a story in the NYT , a spokesperson for News Corp claims that the transaction had been in the works for several months and that Klein “had no involvement” in it, though it is hard to believe that Murdoch would purchase his first online learning company with no input from the person who will head the division. A spokesperson for DOE says that Klein has now recused himself from all business dealings between the department and Wireless Generation “as soon as we learned that News Corp had acquired” the company, which presumably occurred the day before, but does not mention if Klein had recused himself earlier, when the decision to extend the Wireless contract was first announced. 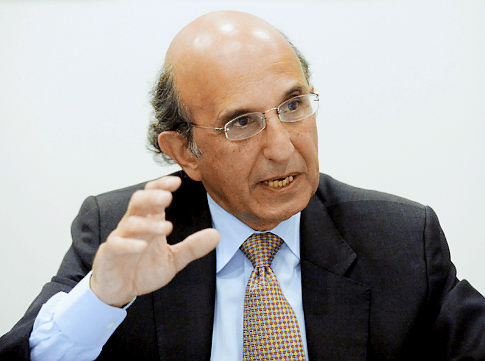 January 3, 2011: Joel Klein leaves DOE and takes over at News Corp.
May 4, 2011: DOE announces its plans to “renew” another no-bid contract with Wireless worth $4.5 million — $1.5 million a year for three years. The document describing the contract says that it is for “published and copyrighted assessment and testing materials.” The DOE refuses to make the contract available to Patrick Sullivan, a PEP member who requested a copy before the vote. May 18, 2011: The PEP rubberstamps the contract, as they have with every other contract ever brought before them. The vote is 8-1, with two abstentions. June 9, 2011: NY SED asks the state comptroller permission to award a $27 million no-bid contract to Wireless Generation, to build a data system like ARIS; with federal Race to the Top funds, and that the no-bid aspect of the contract is necessary because of the tight timeline. Wireless Generation claims that Klein had nothing do with the state’s decision to grant them this contract. Wireless earlier took over the ARIS contract from IBM, which cost city taxpayers $80 million to build. The contract and purchase price was widely called a boondoggle and a super-mugging at the time; later, these warnings were borne out when teachers and principals pointed out its numerous flaws, especially as compared to more useful data systems that were acquired by schools for relative pennies. Recently, NY1 ran a three part series, pointing out the numerous deficiencies of ARIS. June 15, 2011: City Comptroller Liu reveals he has rejected the $2.7 million Wireless contract that the PEP approved in October, a few weeks before Klein resigned. He also says that he has stopped payments on checks that DOE attempted to pay Wireless, after his rejection. Liu says the contract was rejected because Klein failed to provide a letter stating that he had not been involved in approving this contract in the first place. DOE claims that the Comptroller has no right to reject the contract, and provides a letter from General Counsel Michael Best, which says that Klein had recused himself from any work on Wireless Generation contracts as soon as the company was acquired by News Corp, which occurred in late November. (Again, as before, there is no mention if Klein was involved before that time.) The City comptroller spokesperson says, "Because of due diligence, we were able to catch these prior to payment …The DOE is attempting to pay outside consultants without registered contracts, in violation of the State Education Law." John Liu should be our next mayor.